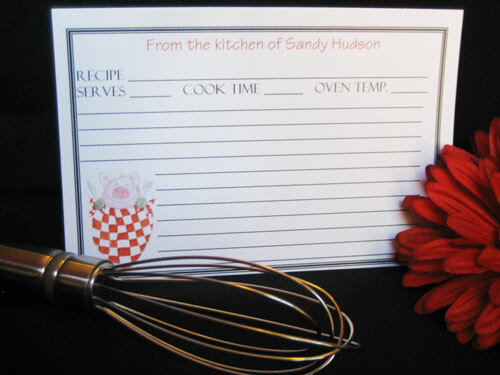 You may choose most any design for your recipe cards. Click here to see more recipe card examples. Optional: Add Bible verse Psalm 34:8 -"Taste and see that the Lord is good". You may also specify a different Bible verse if desired in the Other Notes section.